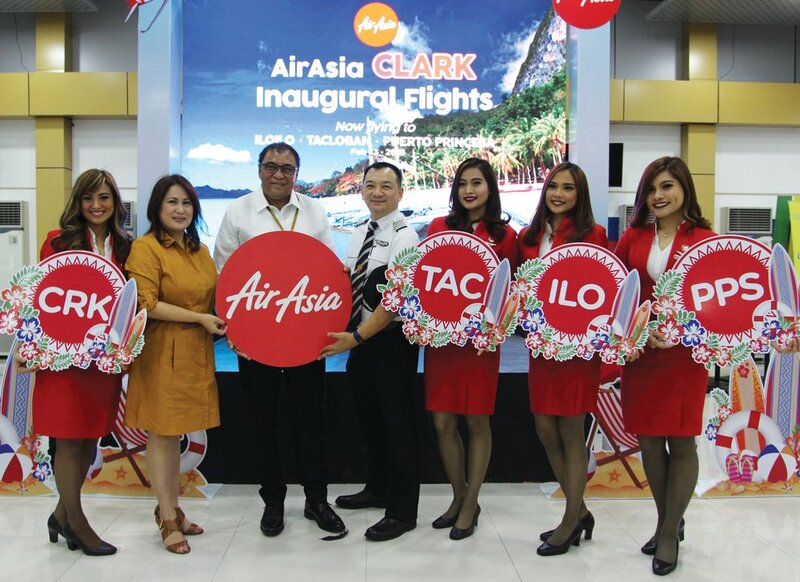 CLARK, 3 February 2018 - AirAsia is now flying from Clark to Tacloban, Puerto Princesa and Iloilo. The airline voted the World’s Best Low Cost Carrier for nine years running flew its maiden flight from Clark to Iloilo International Airport, the primary gateway to Western Visayas and Panay region, today with send-off ceremony attended by Clark International Airport Corporation President Alexander Cauguiran and DOT Regional Director Carol Uy. To celebrate, AirAsia is offering promo fares from as low as P1,066, all-in, and up for grabs now until 18 February 2018 at www.airasia.com for travel period between now and 31 July 2018. Clark - Puerto Princesa and Clark – Iloilo routes operate three times a week or every Tuesday, Thursday, and Saturday while Clark – Tacloban route is every Monday, Wednesday, Friday and Sunday. AirAsia also flies to Davao, Kalibo, and Caticlan from Clark International Airport using Airbus 320s that can accommodate up to 180 passengers. Aside from Clark, AirAsia also offers flights to Iloilo, Tacloban, and Puerto Princesa from the airline’s hub in Manila, Cebu and Davao.